1. Information on how to enter forms part of these conditions of entry. Participation in this Promotion constitutes acceptance of these conditions of entry. 2. This Promotion is only open only to residents of the United Kingdom aged 18 and over, excluding employees of the Promoter, their families, agents or anyone else professionally connected with this Promotion. 4. Promotion Period: Enter between 00.01 BST on 1st October 2016 and 23.59 GMT on 31st January 2017. All claims must be made by the closing date to be valid. a. Purchase 2 of the same 500ml promotional bottles of Fever-Tree: Ginger Ale, Ginger Beer or Madagascan Cola. b. Then go to www.fever-tree.com/darkspirits and enter BOTH unique codes from the two bottles of the same Fever-Tree product, found behind the promotional label. c. Follow the instructions on screen to receive a reward. 6. Multiple entries are permitted, providing each entry is accompanied by two different unique codes from the same Fever-tree product. Each unique code can only be entered once. 7. All entries must be received by the end of the Promotion Period to be valid and no liability is accepted for illegible, incomplete or late entries. 8. Entrants should retain their entry code and bottle/pack as it may, at the discretion of the Promoter, be required to validate a claim. a. Entrants who purchased Ginger Ale: 1x 5cl Johnnie Walker Red Spirit. c. Entrants who purchased Madagascan Cola: 1x 5cl Havana Club Especial. 10. The Rewards are non-transferable, are not exchangeable and have no cash alternative in whole or in part. 11. In the event of unforeseen circumstances the Promoter reserves the right to substitute the Reward for an alternative of equal or greater value. 12. The Promoter reserves the right to verify the eligibility of entrants. The Promoter may require such information as it considers reasonably necessary for this purpose and a Reward may be withheld unless and until the Promoter is satisfied with the verification. 13. Please allow up to 28 days for delivery of the Reward from the date of claiming. 14. The Promoter accepts no responsibility for late, incomplete, incorrectly submitted, corrupted or misdirected entries, claims or correspondence whether due to error, omission, alteration, tampering, deletion, theft, destruction, transmission interruption, communications failure or otherwise. Proof of submission of entry is not proof of receipt of entry. 15. The Promoter and its associated agencies and companies will not be liable for any loss (including, without limitation, indirect, special or consequential loss or loss of profits), expense or damage which is suffered or sustained (whether or not arising from any person's negligence) in connection with this Promotion or accepting the Reward, except for any liability which cannot be excluded by law (including personal injury, death and fraud) in which case that liability is limited to the minimum allowable by law. 16. The Rewards are not transferable or exchangeable and cannot be redeemed for any other form of compensation. 17. If for any reason the Promotion is not capable of running as planned for reasons including but not limited to tampering, unauthorised intervention, fraud, technical failures or any other causes beyond the control of the Promoter which corrupt or affect the administration, security, fairness, integrity or proper conduct of this Promotion, the Promoter reserves the right (subject to any written directions given under applicable law) to disqualify any individual who tampers with the entry process and to terminate, modify or suspend the Promotion. 18. Bulk entries made from trade, consumer groups or third parties will not be accepted. Incomplete or illegible entries, by or via third parties or syndicates, entries by macros or other automated means (including systems which can be programmed to enter), and entries which do not satisfy the requirements of these terms and conditions in full will be disqualified and will not be counted. If it becomes apparent that a participant is using a computer(s) to circumvent this condition by for example, the use of 'script', 'brute force', masking their identity by manipulating IP addresses, using identities other than their own or any other automated means in order to increase that participant's entries into the Promotion in a way that is not consistent with the spirit of the Promotion, that person's entries will be disqualified and any Reward award will be void. 20. By entering this Promotion, all participants will be deemed to have accepted and be bound by these terms and conditions. 21. These terms and conditions are governed by English Law and shall be subject to the exclusive jurisdiction of the English courts. 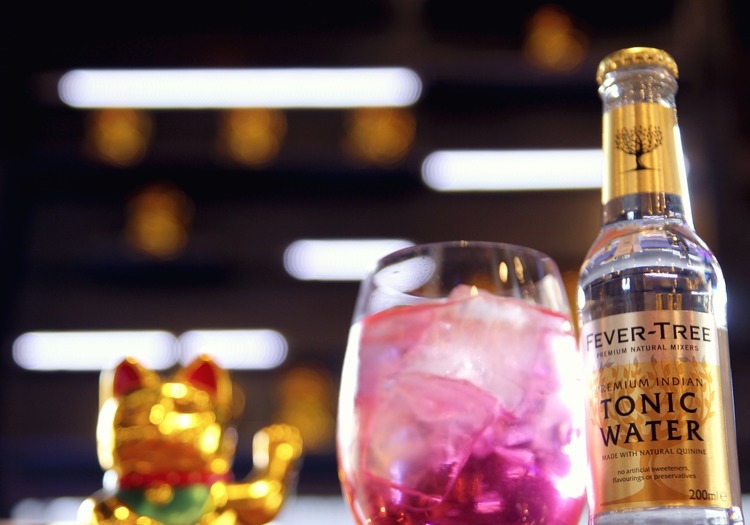 Este año, Fever-Tree celebra su décimo aniversario y propone un tour por los restaurantes de elBarri, propiedad de Albert y Ferran Adrià, degustando en cada uno sus mejores combinados. 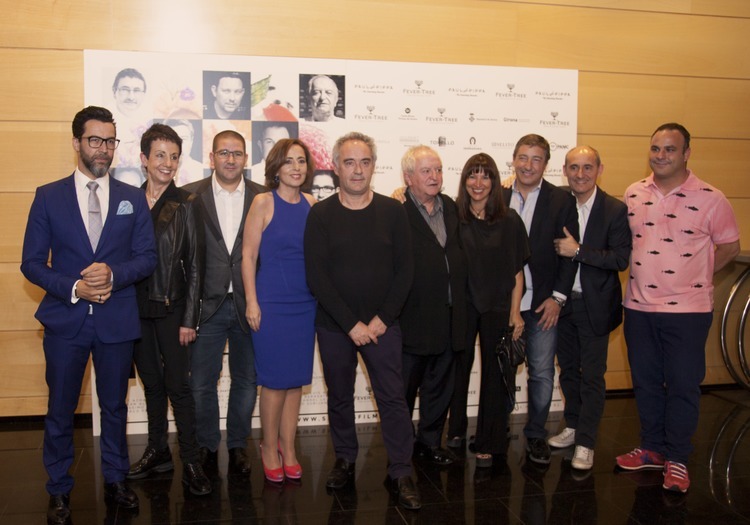 Ferran Adrià, Joan Roca, Juan Mari Arzak, Carme Ruscalleda, Eneko Atxa, Quique Dacosta, Albert Adrià, Ángel León y Dani García se dan cita en Madrid para el estreno mundial de la película documental que ellos mismos protagonizan: "Snacks, Bocados de una Revolución" y en la que Fever-Tree colabora.